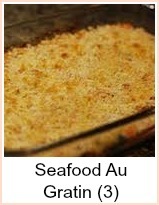 This seafood au gratin recipe was submitted by Cafe Hobson - it's a fantastic combination of mixed seafood. 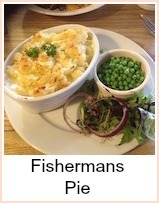 It makes for a very tasty and substantial meal - lots of different seafood combining to make a great experience. Lightly grease one 13x9x2 inch baking dish. In a heavy skillet, saute the onion and the pepper in 1/2 cup of the butter or margarine. Cook until tender. Stir in 1/2 cup of the flour and cook over medium heat for 10 minutes, stirring frequently. Add the crabmeat and stir well. Press this mixture into the bottom of the prepared baking dish and set aside. In a large Dutch oven, bring the water to a boil. Add the shrimp, scallops and flounder. Simmer for 3 minutes. 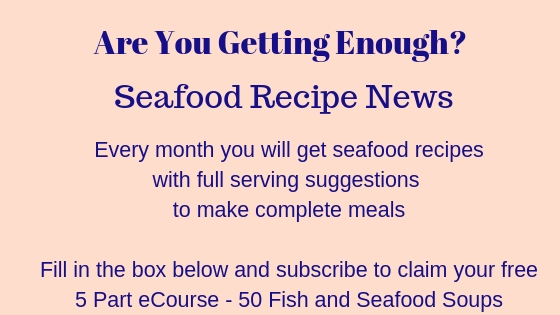 Drain and reserve 1 cup of the cooking liquid and set the seafood aside. Preheat oven to 350F. In a heavy saucepan, melt the remaining 1/2 cup butter over low heat. Stir in the remaining 1/2 cup flour. Cook and stir constantly for 1 minute. Gradually add the milk plus the 1 cup reserved cooking liquid. 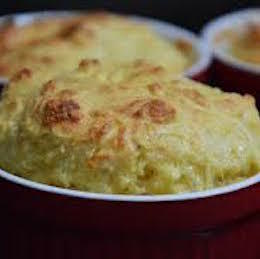 Raise heat to medium and cook, stirring constantly, until the mixture is thickened and bubbly. Stir in the shredded Cheddar cheese, vinegar, Worcestershire sauce, salt, pepper, and hot sauce. Add the cooked seafood and stir gently. 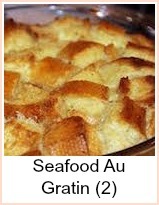 Fabulous seafood mixture topped with cheese and baked in the oven until it's golden.